Nematodes are one of the key organisms in the terrestrial ecosystems of Antarctica. Their exceptional cryptobiotic adaptations against freezing and desiccation stress have attracted significant research attention. However, even today, relatively little is known about the biology of nematodes across this continent, especially in terms of their biodiversity and distribution. To address such fundamental research areas, correct classification of Antarctic nematodes is a necessary underpinning. Until recently, morphological examination has been the only established method available, and this remains challenging even for experts. 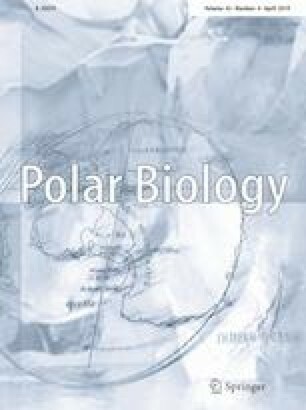 Advances in molecular biological techniques now provide a complementary approach to nematode classification, but as yet have largely not been applied to the Antarctic fauna. In this study we initiate development of cataloguing of Antarctic nematodes using both morphological and molecular information from individual worms. We collected nematode samples from islands in maritime Antarctica (Signy, Adelaide and Léonie Islands; a latitudinal range between the South Orkney Islands and Marguerite Bay), and classified them by DNA sequence obtained from morphologically-determined samples. We obtained small subunit ribosomal RNA gene (SSU rDNA) sequence data from seven major maritime Antarctic nematode species, which will permit future identification of these species without the requirement for detailed morphological taxonomic analyses. We also trialled the application of molecular analyses to morphologically unidentified samples from King George Island, thereby obtaining support for our approach through the identification of samples with identical sequences. This approach provides baseline information for future studies of Antarctic nematodes. The online version of this article ( https://doi.org/10.1007/s00300-019-02482-8) contains supplementary material, which is available to authorized users. We thank Dr. Masaki Uchida and Dr. Hiroshi Kanda for providing Antarctic moss samples, Dr. Megumu Tsujimoto for discussion, Mr. Tadasu Shin-i, Dr. Hideaki Hiraki, Dr. Kazuho Ikeo and Dr. Chester Sands for advice on bioinformatic analysis, and Ms. Junko Kajiwara for excellent technical assistance. We greatly appreciate the generous support of Dr. Yuji Kohara for molecular analysis. British Antarctic Survey field staff are thanked for supporting the fieldwork on Signy, Léonie and Adelaide Islands, and Laura Gerrish of the BAS Mapping and Geographic Information Centre for preparing the maps in Fig. 1. HK was supported by JSPS KAKENHI Grant Numbers 23510239, 15K06906. SI and HK were supported by JSPS KAKENHI 23247012. PC is supported by NERC core funding to the BAS ‘Biodiversity, Evolution and Adaptation’ Team. This paper also contributes to the SCAR AntEco research programme. Anonymous reviewers and the Editor are thanked for constructive comments helping to improve and focus the manuscript. HK and PC led the project; HK performed all the molecular analyses of Antarctic nematodes, and wrote the manuscript with PC; RM morphologically identified most of the Antarctic nematodes; KK morphologically identified a nematode from King George Island; SI and HN supervised molecular examination by HK and advised on the manuscript.